Full disclosure. I don’t follow beauty blogs or watch make up tutorials on YouTube. I actually do not wear make up myself. I’m pretty casual as far as how I dress. And, yes, I still signed up to participate in #BOAW2018! If you know me or read this blog, you know that I write about public health topics – and that is what I do for my day job. So what do I, as a public health communicator and researcher who doesn’t care much about physical appearance, have to say about beauty? Well, I have been thinking a lot about the many issues that are impacting our society right now – violence, tense race relations, cyber bullying (just to name a few) – and where beauty fits into all of these issues. Inherent in this definition is the concept of having a pleasant physical appearance, e.g. “the quality or aggregate of qualities in a person or thing that gives pleasure to the senses.” And that seems to be where people have gotten stuck. It seems that most of us are overly focused on how one looks, whether someone appears pleasing to the eye, whether one looks good. And this solely superficial concept of beauty may be our downfall (at least one of them). It limits us to the surface without allowing us to really understand what is beneath. And I think this is, in part, what is driving our societal woes. We are quick to judge based on one’s appearance, we make sweeping assessments of people based on the color of their skin or how they dress, and our fascination with beauty means that we often genuflect at the alter of celebrity. This hyperfocus on physicality is one that can lead individuals to feel alienated, like they are the “other”, that they don’t fit in, that they aren’t as good as others – and these feelings can often be worked out in unhealthy, and sometimes dangerous, ways. But it is important to note that the definition of beauty is in fact more expansive. Beauty is the quality that can “exalt the mind or spirit” and it is the quality that is “excellent”. Therefore, beauty shouldn’t be solely related to the physical, it should be considered as a more broadly defined attribute that encompasses numerous qualities of an individual. There is so much more to people to than what their external appearance may reveal. 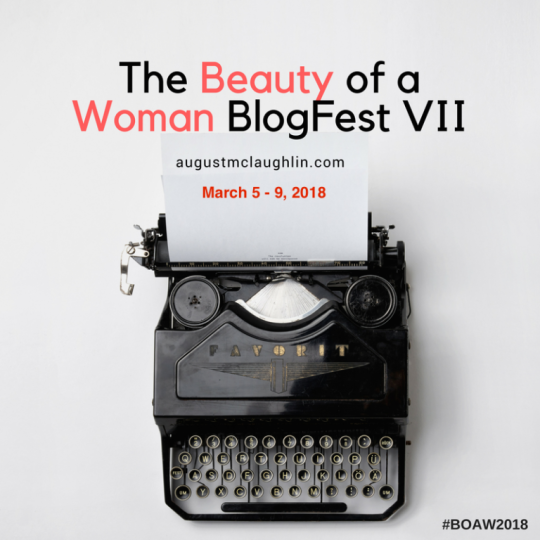 So in the spirit of this year’s The Beauty of a Woman BlogFest, I want to encourage us not to rely solely on our assessment of what is shown to us in thinking about beauty, but instead, to dig a bit deeper and think about what “exalts our minds and our spirits” in those we encounter everyday. Let’s commit to really getting to know one another. Embodying the full definition of beauty in our lives – not just the bits and pieces we think we know – is not going to solve all our world’s problems but it may help us all understand each other a bit more and build some bridges to a more positive future.